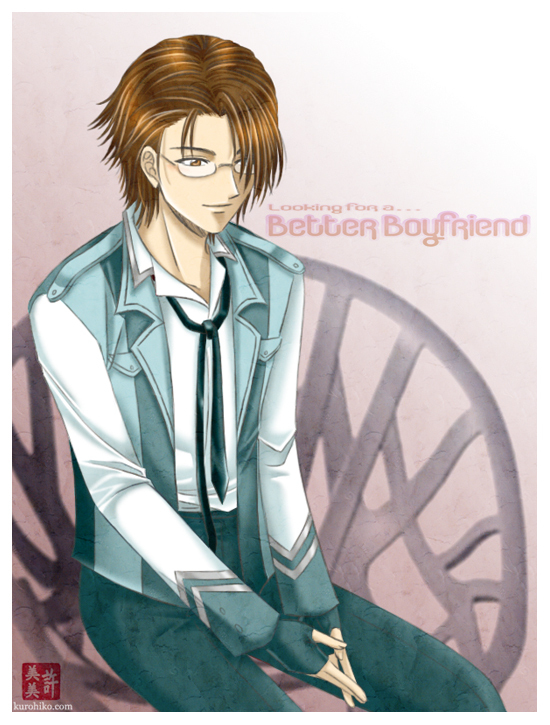 黑火子 ~Kurohiko: Looking for a Better Boyfriend- Wait, WHAT?! I've been meaning to this for a while… it’s turned into some kind of meme among the Oh No! Manga artists to place their characters in another author’s series. So what would happen if Rei were to drink that chocolate milk? For those of you who aren’t familiar with the series, “Looking for a Better Boyfriend” is the story of Jun, the daughter of a genius scientist who accidentally(?) turned her into a boy. Oh, and I stole the chair she’s he’s sitting on from hive. :3a I’m a lazy artist after all.